Local SEO services aren’t just for mom-and-pop operations anymore. Many large- and medium-sized businesses are starting to realize the value of focusing their SEO marketing locally as opposed to nationally and internationally. In fact, local SEO has grown in such leaps and bounds in recent years that any organization that doesn’t make it a part of their marketing efforts runs the risk of being left in the dust. If you’re looking to launch a local SEO campaign, here are a few tips to help ensure its success, as well as information regarding why it is so important. The smartphone revolution of the 2010s has seen more and more customers using mobile devices to search for information about local businesses. They’re also using their home computers as well. Statistics show that local searches are up by 58%. If your business isn’t listed online, creating a web site and relevant content should be at the top of your local SEO checklist. If people are looking for products or services you offer, chances are they’re looking for them online. When customers are searching for services online, they specifically target the area; for instance, they may search “dental services Etobicoke.” Local SEO services can help to ensure that your ads are being seen by people who are looking for products and services locally. You’ll be far more likely to reach the customers you’re looking for and you won’t exceed your advertising budget. In contrast, flyers and brochures in newspapers may just be cast aside as junk mail. Businesses that use local SEO enjoy the best conversion rates. What does this mean? Simply put, it means that for every two people who see your ad or content, one of them will purchase your products or services. In many areas, the online rate is as high as 50%! The number of searches using mobile devices has been growing at a steady rate in recent years. Now, with the introduction of wearable mobile devices such as the Apple Watch, more and more users are going to start performing searches on the go. Proximity searches are also expected to grow in the coming years, meaning people won’t just be searching in regions or even neighborhoods; they will be looking for results when they’re close to a business. One of the best local SEO tips is to make sure that all the information surrounding your business is correct and up-to-date. Create a profile on all the local related business directories such as Yelp or TripAdvisor and anywhere else that is related to your industry. Also make sure that all your information across the different platforms you use is accurate. If there’s even the smallest difference, search engines such as Google will notice and you’ll be penalized for it. Now that everything related to your business is up-to-date, you can move to the next step on your local SEO checklist: creating content and links that are optimized for relevance. This process is easy, as a company that provides local SEO services can assist you with keywords that are related to your business. Be sure to create content that is related to your area, such as local events and information that is related to the region you are in. Simply put, local SEO services help you to stand out, something that many business owners may not realize. But with more and more businesses utilizing local SEO services, any business that doesn’t use them stands a very real chance of being left in the dust. 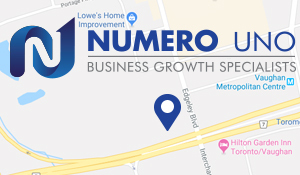 As the leading provider of local SEO, Numero Uno Web Solutions provides businesses with content that is geared towards customers on a local level and will help you to check everything off your local SEO checklist.